As deal-savvy gamers might have noticed by now, the Xbox Windows Phone Deal of the Week is now technically a part of Microsoft’s Red Stripe Deals, which roll out every Thursday. Basically three Windows Phone apps or games go on Thor’s Day, one of which will be an Xbox Live title. Well, a rose by another name smells just as sweet, and we’ll continue reporting on the Xbox sale game prior to Thursday as we’ve always done. Now that we’ve gotten that out of the way, let’s talk games! The last two Xbox Deal games had both been on sale before returning to Deal of the Week status. This Thursday, a quality game goes on sale for the first time ever: Sonic CD from SEGA! Okay, technically there was that weird glitch in which Nokia gave out a non-Xbox Live version of Sonic CD for a short time last year, but that doesn’t count. Sonic CD will soon be available at a discount for everybody – with sparkly Xbox Live Achievements intact. 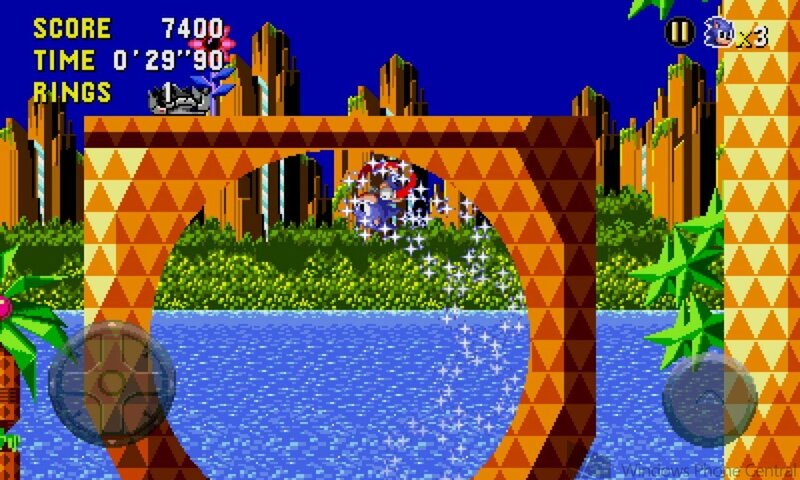 Sonic CD is a remake of the classic 16-bit Sega CD game. It plays much like other Sega Genesis Sonic games, though the focus on exploration has increased thanks to much larger levels and new gameplay mechanics. Sonic can now travel forward and backward in time by touching special sign posts and then reaching super high speeds. Doing so takes him to unique versions of each level, with altered layouts, graphics, and music. It’s a unique and fun spin on the classic series. The story comes to life via fully animated cartoon segments at the beginning and end of the game. Sonic’s nemesis Dr. Eggman has traveled back in time to change the history of the mysterious Little Planet and gain its power. Sonic can take on the game’s seven zones by simply heading for the goal posts and beating all the bosses, but that’s like playing only half the game. To fully restore Little Planet and get the happy ending, the blue blur will need to travel into the past version of each zone in order to destroy Eggman’s robot teleporters and holograms. Eventually he’ll also do battle with fan-favorite enemy Metal Sonic. 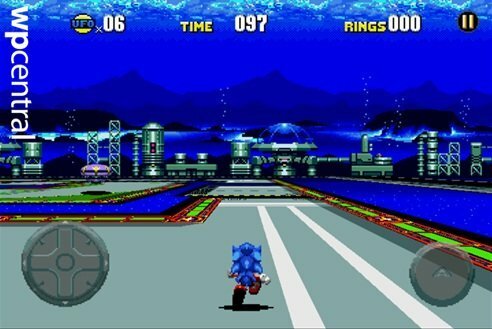 The Windows Phone version of Sonic CD features a ton of improvements over the classic game, including true widescreen visuals, two selectable soundtracks, and the newly-playable sidekick Tails. All told, we consider this one of the very best games of 2012. Check out our full review for lots more details, and don’t forget to use our exclusive Achievement Guide when you play. Sonic CD regularly sells for $4.99, the same price as the XBLA version. Considering the scope of the game, five bucks isn’t bad. But less is better! Starting Thursday, April 18thSonic CD goes on sale for just $1.99. If you’ve been craving a serious platformer on the go, don’t miss it. 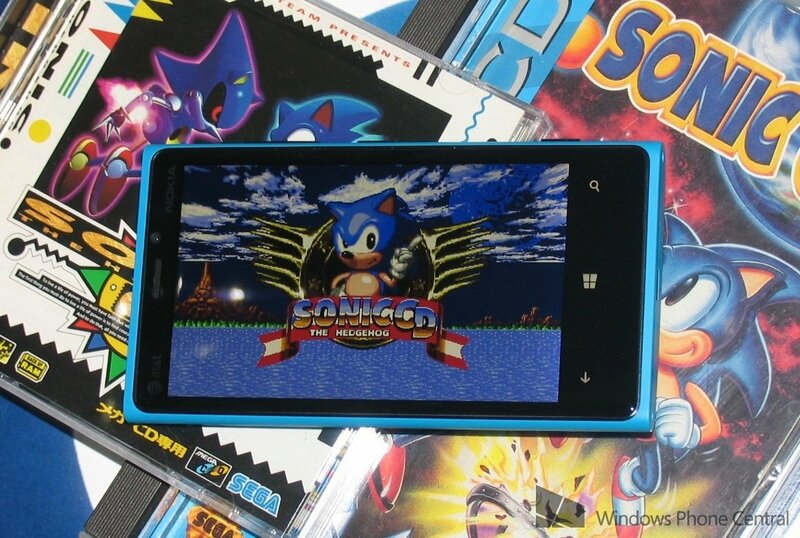 Sonic CD runs great on Windows Phone 7 and 8 and is a 163 MB download. Once the sale starts, grab it here at the Windows Phone Store.